Did you know that anyone can easily find your WordPress login URL. Recently, one of our readers asked if it was possible to change the default WordPress login URL to a custom login URL. 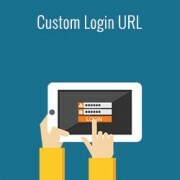 In this article, we will show you how to add custom login URL in WordPress. First thing you need to do is install and activate the Custom Login URL plugin. 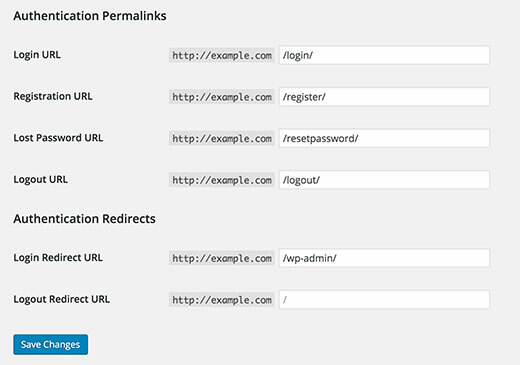 Upon activation, you need to visit Settings » Permalinks to configure your WordPress login and admin URLs. Make sure that you are using SEO friendly URL structure on your site. Below the default WordPress permalinks settings, you will notice two new sections: ‘Authentication Permalinks’ and ‘Authentication Redirects’. Under authentication permalinks, you need to enter the last part of each link. This last part is called the slug, for example my-login-page, lostpassword, signup, etc. Enter the slug for your login, registration, lost password, and log out URLs. Your slug can be anything that you like. Under authentication redirects section, you need to tell the plugin where to send users upon successful login or logout. By default, users are redirected to the admin area or /wp-admin/ directory upon login. When the user logs out, they’re redirected to the login page. Why would you want to Add a Custom Login URL? 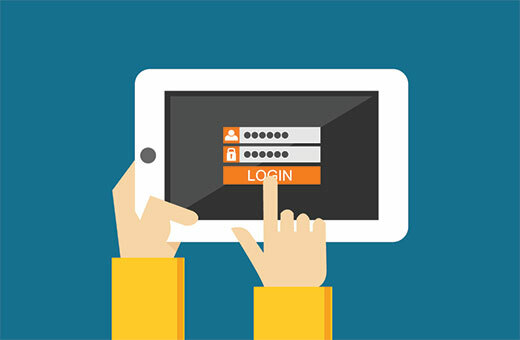 Although many beginners believe that adding a custom WordPress login URL will help them improve their website security, it’s not true at all. Changing the default login URL doesn’t improve your security at all. It’s just a matter of personal preference that’s all. We also have articles on how you can customize your WordPress login page and even create a custom WordPress login page. If you’re concerned about WordPress security, then we recommend that you create a regular WordPress backup. After that, you can add solutions like Limit Login Attempt. For even more protection, we recommend adding a Sucuri Firewall (paid). We hope this article helped you learn how to change the WordPress login url. You may also want to take a look at this guide on how to password protect your WordPress admin directory using htpswd. The plugin you refer to has seen no updates in over 2 years. might wanna update your post. there is a problem with these plugins. I got tired of getting hundreds of brute-force login attempts per day from around the world. WordFence blocked them, but I got tired of the constant barrage of notifications of blocked attempts. I installed a different plugin than what you’re recommending – WPS Hide Login – on all my sites, and changed the login location from the plugin’s default to something I made up. Now I get ZERO brute-force login attempts because the bad guys can’t find wp-admin any more – it just throws a 404 page not found error. Please tell me why you think this does not improve the security of my sites! Dear, how to make like this login? This is built into another plugin I love, iThemes Security (formerly known as Better WP Security). It provides this functionality and many more simple to implement security features for your WP install. The custom login url is 1 of the main reasons I used iThemes Security, but I switched to WP All-In-One Security because it also offers a honeypot on the login page. An Many of your posts you recommend plugins that are out of date. Login Lockdown is over a year old. You should keep your recommendations to plugins that have been tested and updated recently. Reader’s following your instructions may get undesired results following your recommendations. Please see our article, Should you install plugins not tested with your WordPress version. We test all plugins that we recommend, and we regularly update old articles to replace expired plugins with new and better plugins. We also rely on our users to alert us when a plugin we recommended has expired or is no longer available. Try deactivating all your WordPress plugins, and then check to see if this resolves your problem. If it does, then this means that there is a plugin causing the issue. Activate each plugin one by one and test your website after activating each plugin until you find the culprit. If the plugins are not the issue then you may want to checkout our guide on fixing common image issues in WordPress. I would like to know more aboth this …. “…. a custom WordPress login URL will help them improve their website security, it’s not true at all. Could you please explain this in detail ? If the site’s login URL is strickly for the owner and administrator – and therefore there’s no public links to the custom login – Wouldn’t a custom URL to the login in this case be an improvement of the security? Accessing /wp-admin/ directory will redirect users to custom login URL. …. or is there a way around this that I’m not aware of?? If you try to access wp-admin and it gives you the custom URL, the plugin isn’t doing a very good job of hiding the URL. Plugins like iThemes Security, as Lars mentioned, and Rename WP-Login will throw an error message if you try to access the admin area or default login URL in any way that isn’t the customized one. It does help the security because the attacker can’t find the form to attack it.